We featured Nukeproof’s new Digger a couple of weeks ago, when it caught our eye thanks to a launch video that featured Chain Reaction Cycles downhill team rider Elliott Heap piloting one in full-on aggro mode. 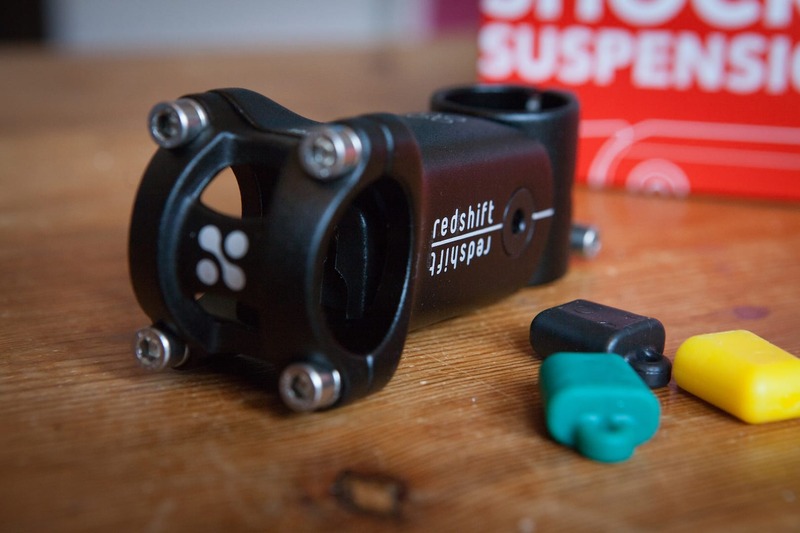 And thanks to the lovely people at Hotlines, we now have one to play with. 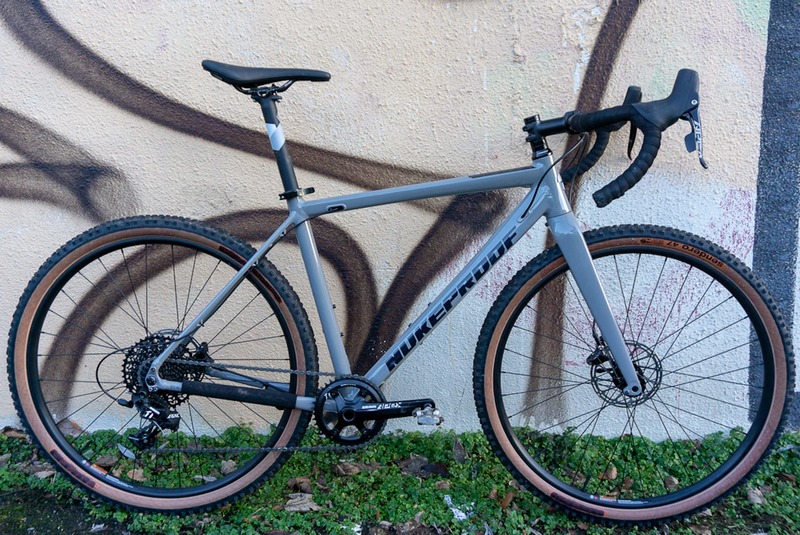 The Digger is designed as a mountain biker’s gravel bike, borrowing from Nukeproof’s expertise with MTBs to deliver a winter hack that’s also truly hoonable. 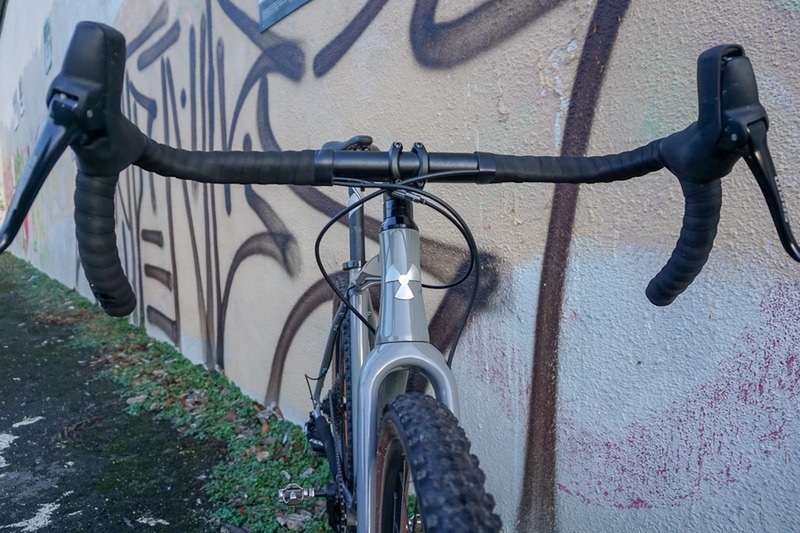 Judging from that launch video, Nukeproof are aiming it at someone who might already have a Mega or a Scout in the shed, and maybe fancies a crack at one of the new-style gravel enduro races that are popping up of late. 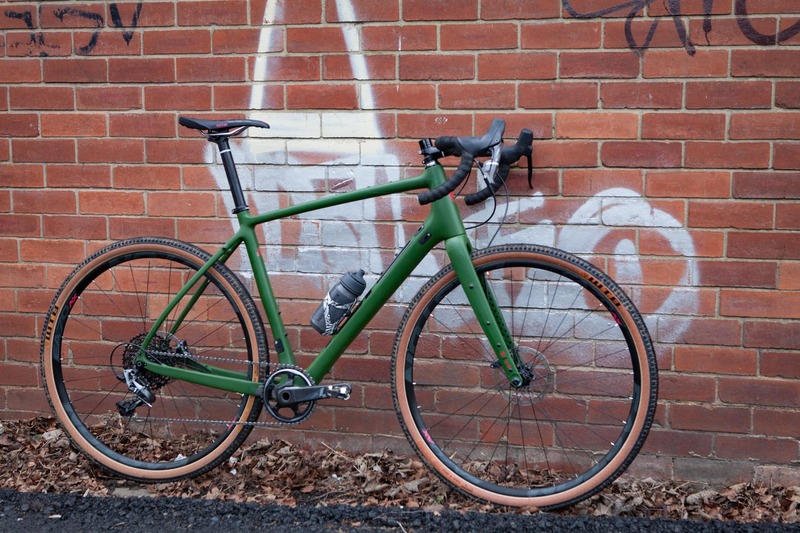 The Digger is offered as two complete bikes, both equipped with 650B wheels and WTB’s new 47c Sendero tyres. 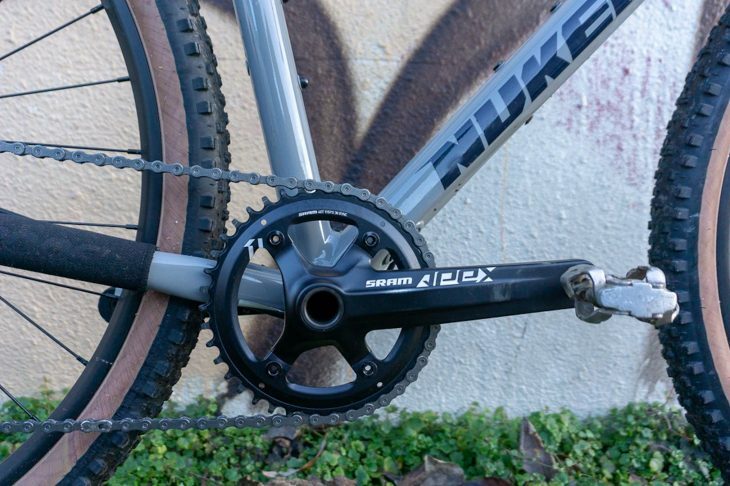 These are tubeless compatible and size up at nearly 2 inches on the WTB i23 rims, promising a level of cush and grip that you’d normally expect from a mountain bike. Combine the chunky rubber with an eye-popping set of 500mm drop bars (and that’s just the measurement across the tops), front and rear thru-axles, and dropper post compatibility, and you’ve got a bike that has diverged quite radically from its cyclocross roots. 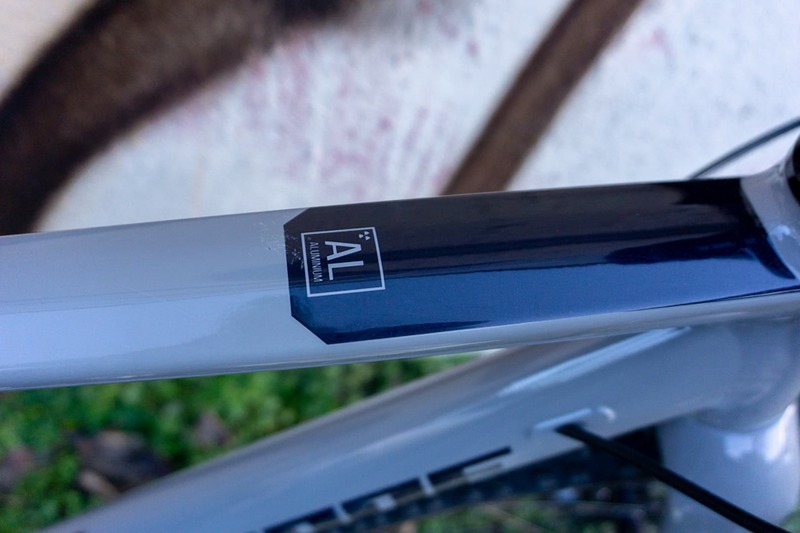 The Digger Comp is the base model in the range but still features a very tidy looking alloy frame, with a full carbon fork. 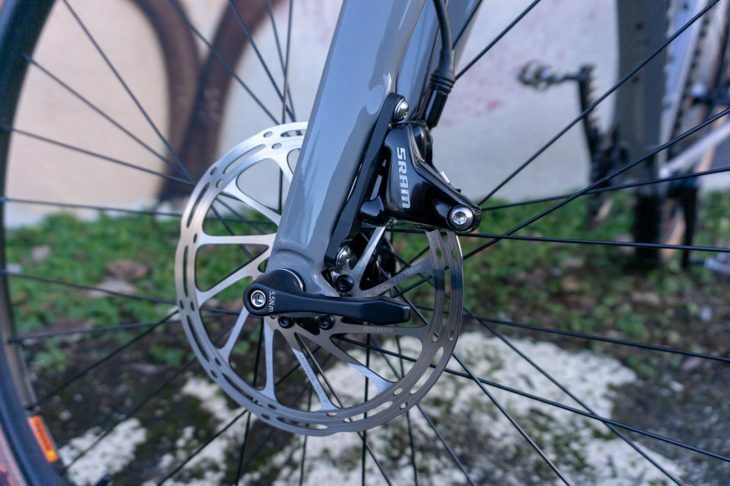 It’s equipped with an SRAM Apex 1x groupset with hydraulic brakes, a further echo of Nukeproof’s mountain bike roots. The Comp rolls on Novatec hub complete with WTB i23 rims to support those tyres. For some reason our test Digger’s wheels and tyres have mostly been de-badged. 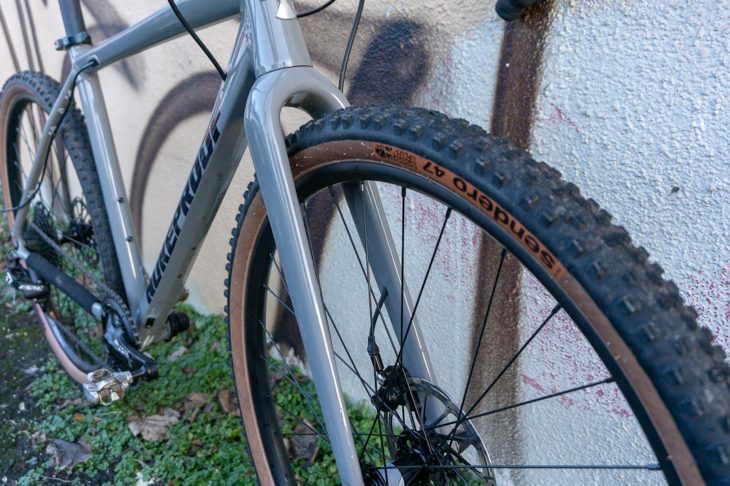 We’re not sure what the story is there but we’d guess it had something to do with CRC Nukeproof’s team riders, and some tiptoeing around their existing tyre and wheel sponsors. If you decide to be boring but practical, the Digger will take 700c wheels and sports hidden rack and mudguard mounts. 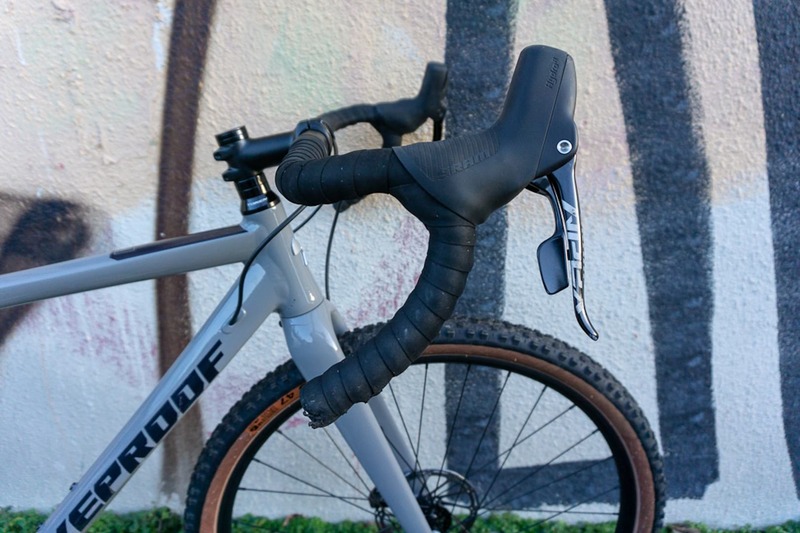 If you decide to be silly, it’s got routing for an internal dropper post, although the cheaper Comp comes with the time-honoured radness facilitator of a quick release seatpost clamp. 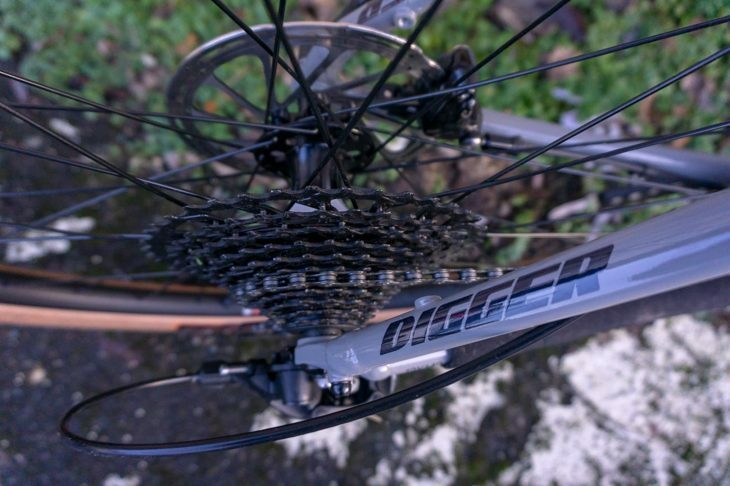 We’ll be throwing the Digger Comp down some of our local trails that are normally the preserve of mountain bikes, and maybe entering a couple of those gravel enduro events if the opportunity presents itself. We’re seeing more and more bikes that blur the lines between gravel bike and MTB, such as Bombtrack’s Hook ADV, and if you fancy a dabble in these murky waters, the Digger looks like a fun option at a very competitive price. 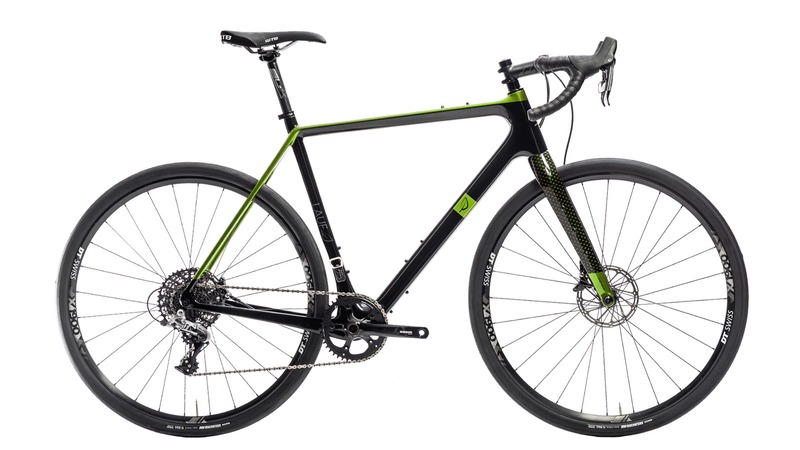 A Vitus Energie with 650b wheels, wider bars and a £500 price increase? 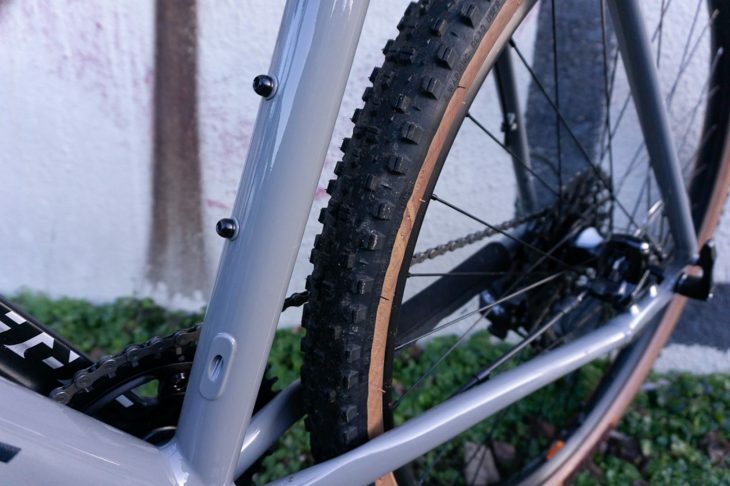 I’ve not eyeballed the Vitus, but from details like seat post diameter it appears to be a different frame. It’s quite a bargain though.